I want to thank all of you, especially Shanty Bookmite, for taking Dreams and our group, Brigadoon Explorers, into your hearts. I have been trying to keep The Sojourner’s Dreams alive since she died 5 and a half years ago. In my heart, the sims still belong to Soj, as we who knew her called her. About three years ago, through no fault of ours, we lost our outside funding and have been struggling to find resources to keep going. Many of the regulars do not have resources to help financially, they are lucky to have the equipment to be able to log into Second Life. About the time Shanty contacted me, I had already resigned to the fact that the first week of January, we would be having our Dragon Melt and saying good bye to Dreams. Through your generosity, you have saved Dreams. I am so grateful. Brigadoon Explorers, our autistic/Asperger’s group, is our most active support group. They have been meeting weekly for longer than I have been in Second Life. When I talked about cutting back to one sim, they were upset to lose that which was familiar to them. For them, you have enabled us to keep Soj’s discussion area, and Soj’s Place. Dreams isn't just for our autistic group, but is open to everyone. We hold monthly building contests and currently have our holiday windows and snowmen builds going on. Yes, both those on the spectrum and neurotypicals participate on an equal level. People don't like being put into boxes and sheltered from others because of their differences. We at Dreams have proven we can be a mixed community. Please feel free to pay us a visit at any time. The Dreams Way sim closed on November 30 and now I’m finally happy to announce that we raised L$ 829.322 that means USD 3.227,41 (Euro 2.375,14). This incredible amount is the result of the hard work and generosity of many wonderful people that I would like to personally thank. I’m sure I miss many names in this list, so please let me know if any of you is missing and I will add your name. And last but not least, thanks to all of you for supporting the Dreams Way fundraiser through your generous donations. All we have done at the event is a community effort and it wouldn’t have been possible without each one of you. The Last Show and Auction!! Tomorrow is the last day!! 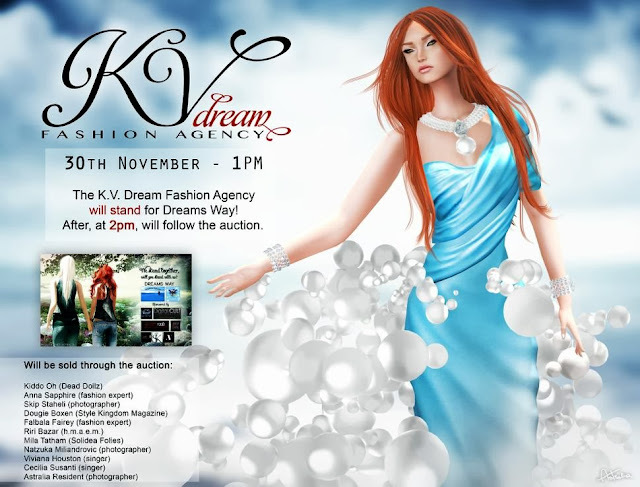 A closing show with KV Dream Fashion Agency and the final auction of the Dreams Way charity event. This is the last chance to give your help for this cause. AIM Fashion Show for Dreams Way, TODAY at 2pm SLT. Style Kingdom Magazine was so kind as to write an article about the fundraiser and here the shots of the article. You can find the complete article from pag 79 to pag 85. Thank you so much to Dougie Boxen for his professionalism and availability. I want start this post with a image that aims to raise awareness of this topic, I hope you like it and, if you want, please feel free to use it! You can find it also on facebook to share. 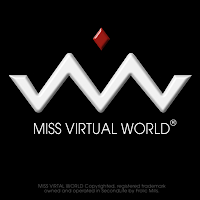 In add today we'll have the Mahasiah Models Agency for a fashion show at 2pm SLT - Join Us!! I remind you that all your purchases in the Dreams Way Sim will help to help the fund raiser, so do not hesitate and visit our fantastic shops. Each of them has an exclusive item for you that you cannot find in any other place! ModeLS Magazine was so kind as to write an article about the fundraiser and here the shot of the article. You can find the complete article at pag 60/70 (79/86). Thank you so much to Boniefacio and Natzuka Miliandrovic for their professionalism and availability.